"... whichever way you decide to use the Monitor SUB 12 it takes on the appearance of being designed specifically for that configuration. Pretty slick." 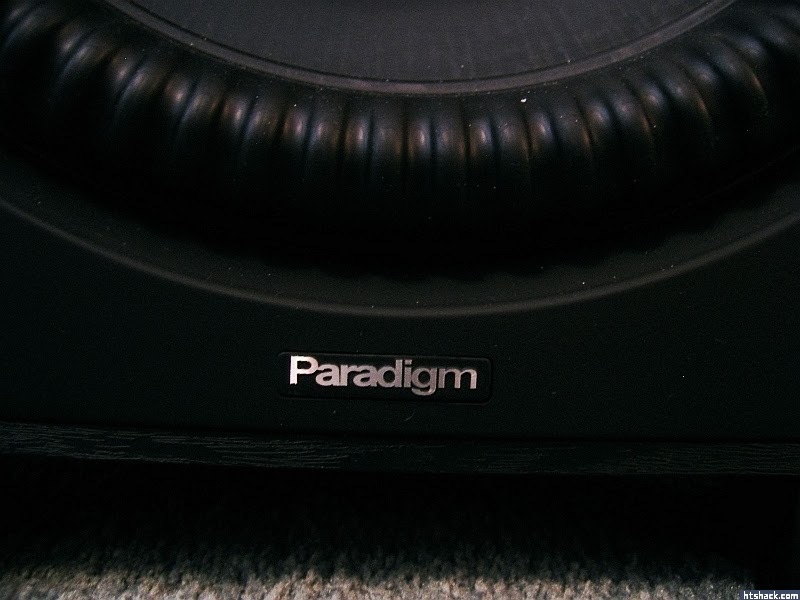 "For those who don't want an imposing subwoofer -- or have WAF (Wife Acceptance Factor) to contend with -- Paradigm has you covered." "The veneer application was first rate, with no obvious defects in materials or workmanship." "The front panel is noteworthy for more than just the material it's covered with; there are no visible screws holding the driver in place, so for the person who likes to run sans grill you can do that and still have a clean appearance. To further entice those same people to ditch the grill Paradigm also added a small emblem -- which matches the one on the outside of the grill perfectly -- so whichever way you decide to use the Monitor SUB 12 it takes on the appearance of being designed specifically for that configuration. Pretty slick." "Regardless of how hard I tried it never lost composure." "For its size the Monitor SUB 12 does a pretty remarkable job... regardless of how hard I tried it never lost composure. Dynamics could have been a bit more pronounced, but little else was lacking. A quick glance at the measurements reveals a billiard table flat response curve, so it certainly doesn't embellish the output." "After all the testing had concluded I checked the amp to see how hot it had gotten, but I detected almost nothing. 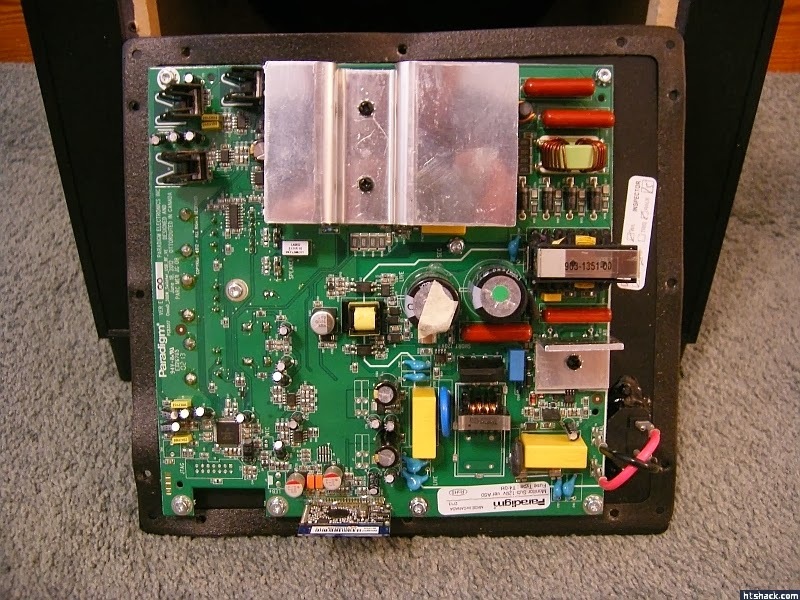 Regardless of how hard I drove it the amp barely registered any perceptible heat." "At several points during this movie there are the typical battle scenes, affording the Monitor SUB 12 an opportunity to strut its stuff. Helicopters were potent, with their rotor blades producing a solid 'whooshing' sound. Every so often there would be a deep foreboding rumble injected into the soundtrack, put there specifically to heighten the sense of doom. That came across with authority..."
"The Paradigm was a faithful companion, playing its heart out"
"The Monitor SUB 12 displayed pretty solid dynamics here, and even mustered a good amount of presence in spite of the elevated volume level I was playing this song at. And by elevated I mean "hey, will you turn that down!". Its a good thing I live on my own now. Mel Schacher's bass guitar was growling at me, while Don Brewers kick drum pounded away. The little Monitor SUB 12 seemed to like this song as much as I do." "The Monitor SUB 12 seemed to enjoy this one too because the Hofner sounded rich and clean, with excellent pitch definition. The sustain on the notes before each chorus made me smile; you could almost hear the plucking of individual strings when Paul launched back into the main rhythm." "JPJ's bass guitar sounded rich and formidable, and even as the volume rose the Monitor SUB 12 remained unperturbed. However, this song is really about Bonham's drum solo. The Paradigm was a faithful companion, playing its heart out. Of particular note were the hits from the kick drum, and with the speed of this mans right foot it's no small accomplishment to keep up with him." "... the Paradigm Monitor SUB 12 should be one you audition." "There's no denying that the Monitor SUB 12 is one tiny subwoofer, yet even with that Paradigm stuffed it with all manner of interesting features and technologies. It's a marvel of packaging, for sure... The Monitor SUB 12 didn't always have the muscle to create ground-shaking LFE effects, but it was no 98 pound weakling either. 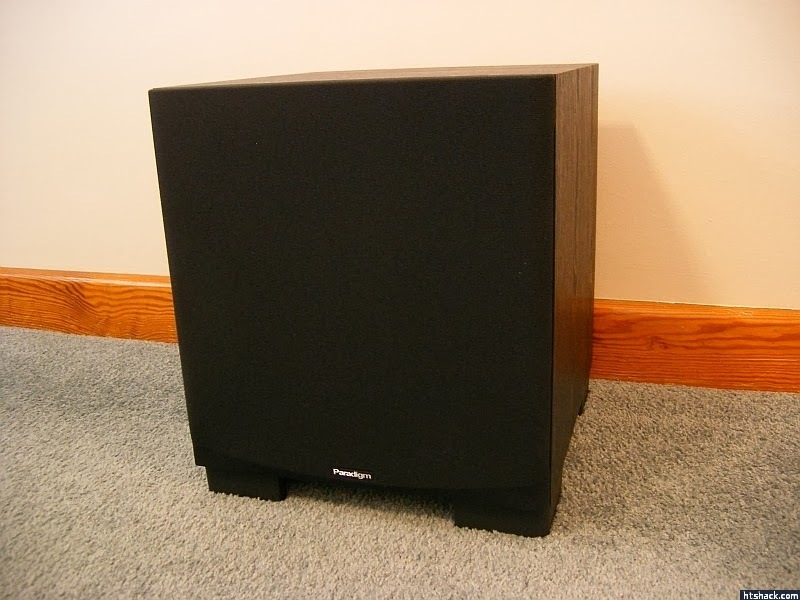 If you're in a situation that mandates your subwoofer be very small... the Paradigm Monitor SUB 12 should be one you audition." Click here! to read the full review from Home Theater Shack. Click here! 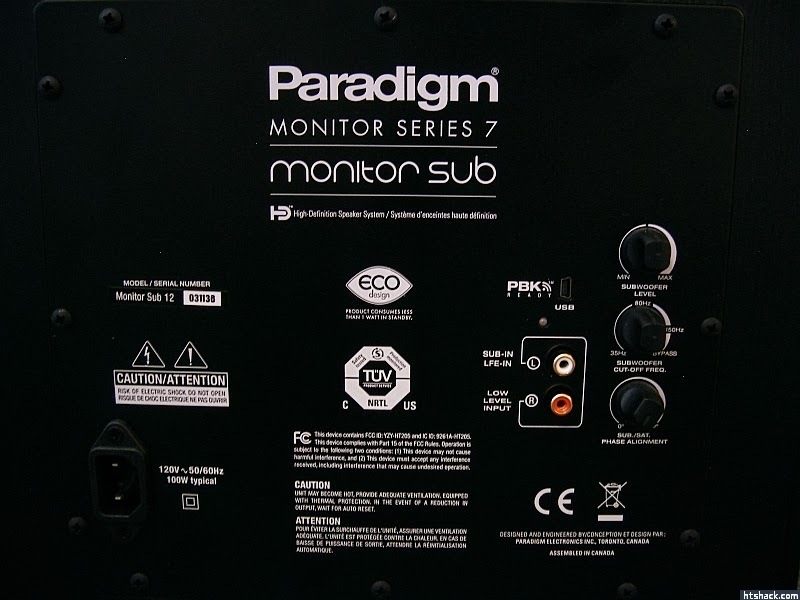 to learn more about Paradigm's Monitor SUB 12.